Lavasa is a great place to unwind and stock up on much-needed "me-time". What's not to love about Mercure Hotel? The grub, the ambience and the decor entwined with the charm of Lavasa is sure to leave you mesmerised. Nothing at all - though my gang might have felt I was a little distracted by the food! 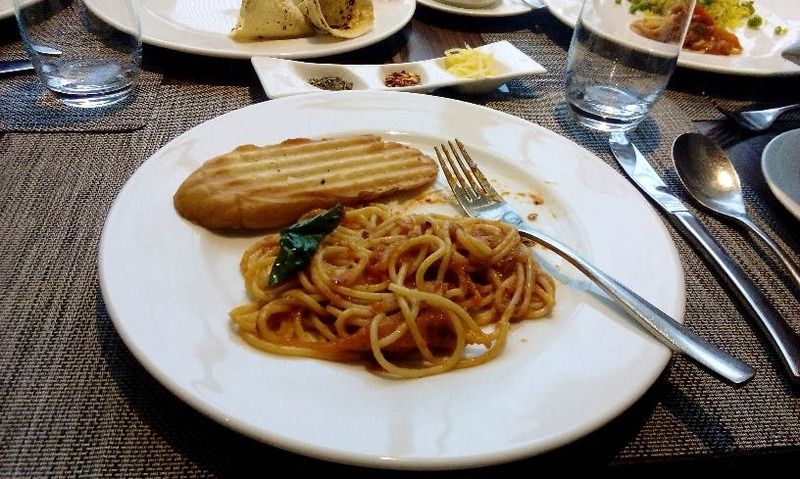 The spaghetti here is a notch up from what you get at the usual Italian restaurants. As a personal recommendation it would be better if just like your Lavasa plan you could also be a bit adventurous as far as ordering off the menu is concerned. Don't go by your usual roti-sabzi regime when here!